OPPO is the new mobile phone manufacturing company, which has launched its best selfie phone in the world. The company has introduced the mid range smart phone, which is built to do the same, A77. The smart phone is provided on Taiwanese website for the pre-orders. The phone has the same specifications as of F3 and it has single camera but not the dual camera as it is seen on F3. OPPO A77 will be provided in the market in Gold and Rose Gold colors for NTD 10,990 (Rs.38,650). Like many other smart phones of OPPO A77 looks similar to certain smart phone and it sports all metal body with antenna lines at the back and top and on the bottom of the smart phone. On the front of the handset, there is fingerprint sensor, the capacitive buttons and front camera. When you check the display of the handset, you will find 5.5” 1080p resolution (1920 x 1080), IPS LCD screen and the pixel density for screen clocks above 400 PPI (pixels per inch). 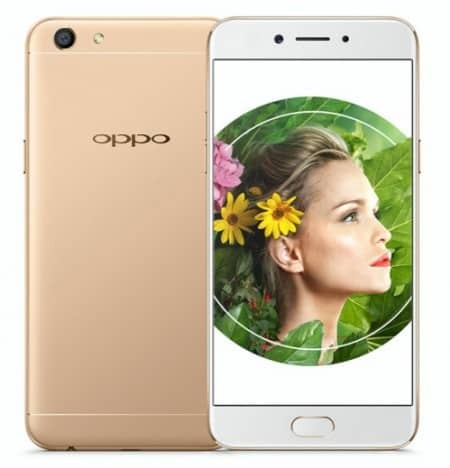 OPPO A77 is similar to various other smart phone and OPPO A77 is featured with octa-core Cortex A53 chipset, Mediatek MT6750T SoC. It is added with 64 GB internal storage capacity and it is dual SIM phone by default and it uses hybrid SIM/MicroSD card slot. OS is Android 6.0 Marshmallow, which is getting little consideration of Android O, which is on the horizon. Oppo will be added with priority Color OS skin on top. The primary camera of the smart phone uses the smaller f/2.2 13 MP sensor and it is featured with LED flash and Phase Detection Autofocus. On the front side, it is also added with bigger f/2.0 16 MP shooter with portrait and beauty mode. The handset, A77 is powered by 3200 mAh battery unit and it is enough for the day use.